No Drama, Llama! It’s THD Challenge 13! Well, there are no llamas in this month’s inspiration photo, but there are some pretty fantastic images, and to say nothing of the color scheme. I love the citron, red and grey combo– so unexpected and not a combo I would usually work with, which makes creating even more exciting. 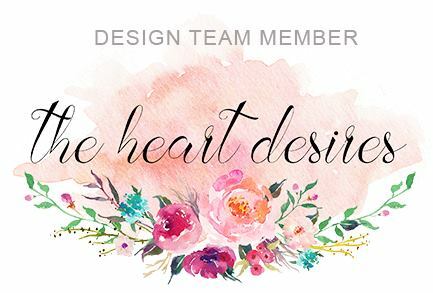 I hope you’ll feel the same way because we want you to help us celebrate a whole year of The Heart Desires’ challenges! 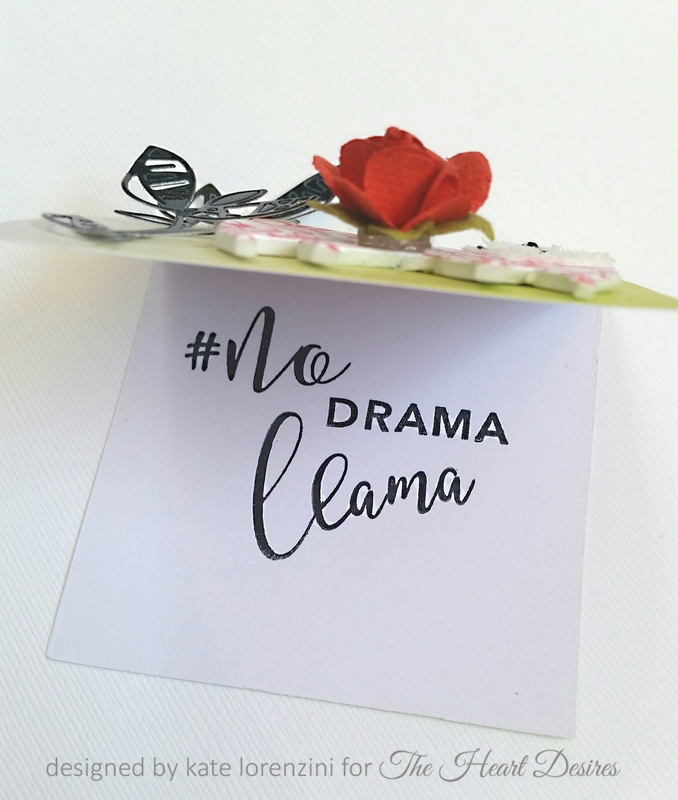 First up, No Drama Llama! Flora and Fauna’s newly launched products are fabulous and Tonya has most of them in the store! I love the llama die cut, and here I have cut it once from card stock, once from fun foam/Stick it, and then stamped it using one of the cats from Waffle Flower’s Flora Cat set! The back of the cat created a curved line that worked perfectly with the lines of the llama. I’ve also covered the rest of the llama with Flower Soft and inlaid glossy black cardstock into the reins. 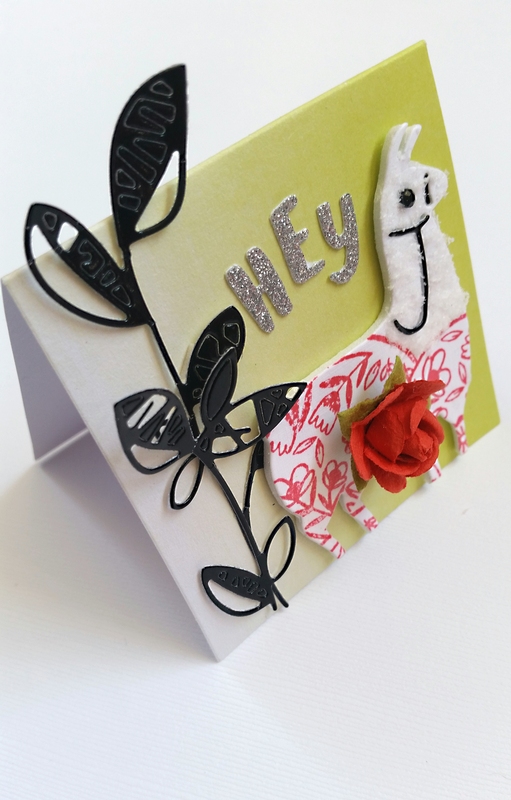 I have also used Waffle Flower’s Hey, Hello, Hi die cut for the sentiment. Inside, I used Concord and 9th’s Sophisticated Script letters to create some of the sentiment. I created another card using the grey, black, citron and red scheme. First I stamped a Concord & 9th Tree Ring in Unicorn White ink, heat set, and water colored with Twisted Citron, Mowed Lawn, and Shabby Shutters Distress Inks. Tonya has many of the Distress Inks and new Oxide Distress Inks in store! I used the Distress Inks to splatter a background on to Ranger Watercolor paper. I layered the rest of the elements and finished with the Waffle Flower sentiment. Here’s how it all wrapped up! Taking my cue from the green and bamboo plates in the inspiration photo! So how will you help us celebrate our anniversary this month? In what ways might you stretch your stamps and supplies that will surprise you? I cannot wait to see how we’ve inspired you! Thanks for playing along with us for the past year– here’s to this month and the next eleven! Lots of lovely going on with these two sweet cards! The flower soft on the llama was a brilliant idea; it mimics his fur wonderfully. And that black sprig really sets him off so well. Your second card is magical! Beautiful composition, amazing layers, and I LOVE the red shiny ‘doily,’ too. Fabulous cards, Kate!! I adore your projects Kate! 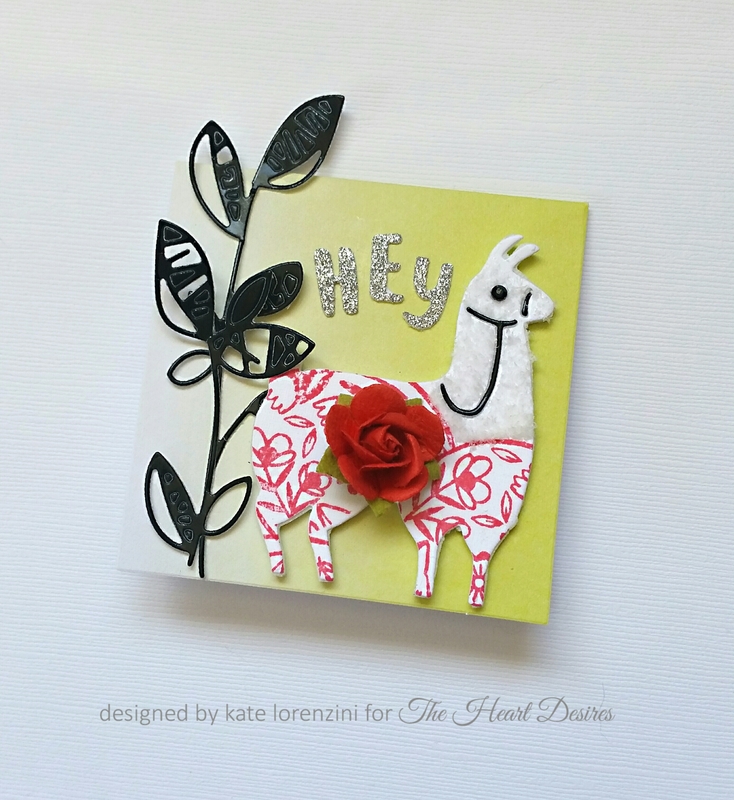 absolutely amazing Kate, your Llama is (dare I say) FABulous!